Life Outside the Shell: 5 ways to step away from the donuts! 5 ways to step away from the donuts! No, donuts aren't the enemy of our soul. But when you lack the ability to stop at just one donut there is something lurking that may need to be addressed and that is the lack of self-discipline. 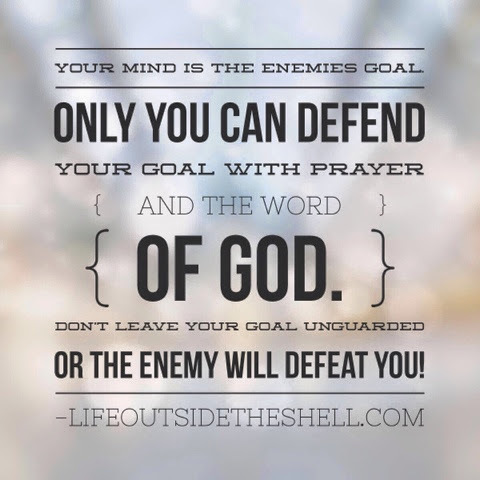 This post is the final post in the 3 part series on 2 Timothy 1:7 "For God has not given me a spirit of fear or timidity, but power, love and self-discipline." You can read the first two on power and love if you missed them. Another way self-discipline is translated in this verse is "sound mind". I love both these translations because you can't have self-discipline without a sound mind. Self-discipline is defined as soundness of mind, self-control and having mastery of ones mind. As I mentioned in this post I accidentally dropped a lot of weight in high school. It was the first and only time I lost weight on accident. After I saw my "before/after" I became addicted to staying thin. I would starve myself, take diet pills and workout twice a day. I prided myself in having "self-discipline" to be able to say no to those cookies or pizza. The problem came, however, when I did reintroduce those junk foods. I became obsessed with food. It was all I could think about. I was either talking myself out of eating something through hateful thoughts about my body OR I was binging on those junk foods out of fear of when I would get to eat them again. It was a vicious cycle that I kept as my little secret well into my twenties. I am happy to say I am free from this way of life and now view food as my friend rather than the enemy. When my husband went to chiropractic school we learned how to take care of our bodies the way God intended us to and that was the beginning of my journey of being set free. I want to share some practical ways I renew my mind and practice self-discipline. Please note that you may not struggle with eating disorders but these principles can be applied to any area you struggle with self-discipline(such as exercising, finishing projects, sexual addictions, drug addictions, and more). 1. Renew your mind! In order to have a sound mind we must continually renew it. We renew it by taking our thoughts captive and making them obedient to Christ(2 Cor. 10:5). If you allow thoughts like "I have no control over this" to dwell in your thought life than you are right...you will have no control. 2. Get in the word. As I shared with you I thought I had self-discipline by using negative talk to get myself to do what I wanted. The problem is that was on my own strength and I could only be strong for so long. Take a load off, give it to God and use His word as your biggest weapon against strongholds in your life. 3. Talk to God about it. Often times we think God doesn't care about the little details in our life. But in Matthew 6:26 it says "Look at the birds of the air; they do not sow or reap or store away in barns, and yet your Heavenly Father feeds them. Are you not much more valuable than they?" If he cares about the birds he most definitely cares about every detail of our life. Be real with him. Let him into your dark places that you dare not tell anyone about. He won't laugh or judge or tell anyone else. But I can promise you this...he will set you free. He has already unlocked your prison cell now it's up to you to walk through it. 4. Know your temptations. Everyone experiences temptation in some area of their life. For me, I have learned that when I overeat on junk food it messes with my mind. When my mind is messed with my spirit is messed with. And when my spirit is out of alignment I can't do the work of God. So while many people may think I turn down the junk for superficial reasons, like staying thin, it's actually because I would rather have a sound mind than indulge in the sweets. It might sound strange, but I always plan those indulgences and ask God to show me when I can partake without it affecting my spirit. 5. Just do it. In the words of Nike "just do it"! There comes a point where we have to make up our minds that we are or aren't going to allow a certain habit(or lack of) rule our lives. When we make that decision and then allow The Lord to show us how to overcome we will be victorious! My prayer for this post is that you are encouraged to believe that self-discipline is a gift you can lay hold of and see your life transformed. 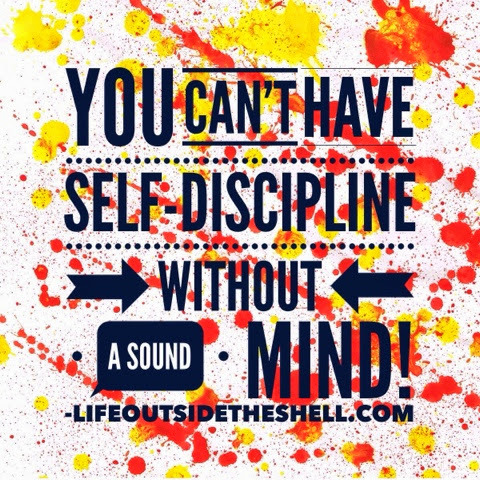 What area of your life do you need more self-discipline? Are you willing to allow God in to that area?